I traveled to Portland, Oregon, this past Easter weekend. Before heading home, I visited Seattle, Washington, for a day. 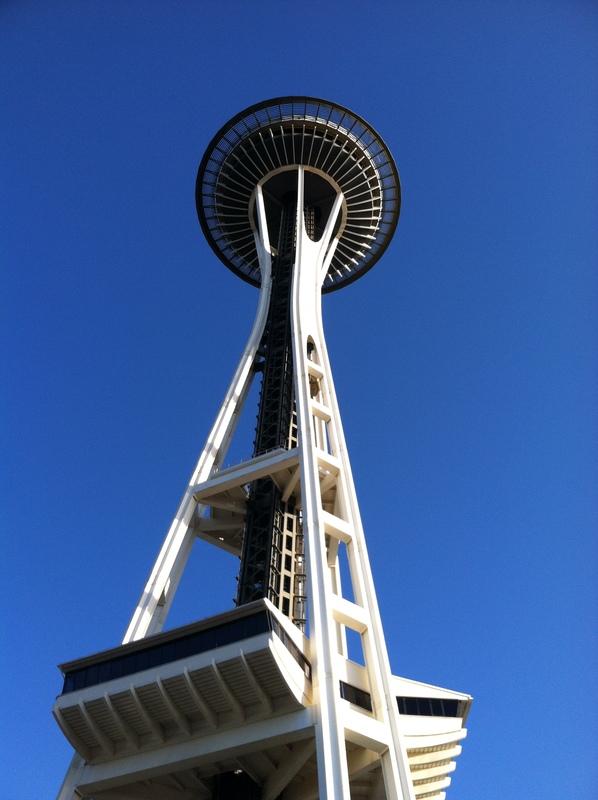 Seeing Seattle and the Space Needle have long been on my travel to-do list. I was lucky to miss Seattle’s rainy, dreary weather the day I visited. Seattle is known for its damp, rainy climate that feeds the lush green landscapes, which is why the city is nicknamed the Emerald City. What most people associate with Seattle is the music scene–in particular a genre known as grunge. Bands such as Nirvana, Alice in Chains, Pearl Jam, Soundgarden, and many many others started out in the Emerald City. I could write hundreds and hundreds of words about Seattle-based bands and artists and hardly scratch the surface, so here I will focus on two of my favorites: Jimi Hendrix and Kurt Cobain of Nirvana. 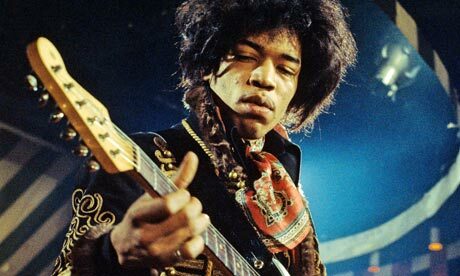 Jimi Hendrix, arguably one of the best guitar players of all time, was born in Seattle on November 27, 1942. He is known for his skillful guitar playing and his bohemian look. Although Jimi was American, he first found fame in London in 1966 where his performances impressed fellow guitar luminaries Eric Clapton, Jeff Beck, and Brian Jones. My first introduction to Jimi’s music was, oddly enough, through the movie Wayne’s World. The film featured “Foxy Lady” and “Fire”, both tracks from the Jimi Hendrix Experience’s Are You Experienced–an excellent album. After performing “Fire”, Jimi sometimes set his guitar ablaze for dramatic emphasis, as depicted in this video. Notice how he moved his hands over the fire, as if to conjure the flames. If you’re a Jimi Hendrix fan, I highly recommend Jimi Hendrix: The Stories Behind Every Song, by David Stubbs. This book is a comprehensive biography about Jimi and discusses the origins of his entire musical catalog. My favorite Hendrix song is “Bold As Love”, the last track on the album Axis: Bold As Love. This song is about Jimi’s fascination with the Earth’s axis. I dig how the song fades out as if it’s ending but then starts back up with a drum fill and closes out strong. Also, the line “my yellow is not so mellow” is a call-out to Donovan‘s 1960s hit, “Mellow Yellow”. His electrifying take on the “Star Spangled Banner” at Woodstock in August 1969 is another favorite. Stubbs says Jimi’s performance of the national anthem was his way of commenting on the United States’ turbulent political climate in the late 1960s. Jimi was passive in demeanor and often used music to make social statements. Jimi Hendrix died on September 18, 1970 in London, but was laid to rest southeast of Seattle, in Renton, Washington. His legacy lives on through the artists he has influenced. Among those is Nirvana’s Kurt Cobain from Aberdeen, Washington. Or as he sometimes spelled his name, KurDt Kobain. Much has been written about Kurt Cobain, the lead singer of Nirvana, since his untimely death in 1994. I was most interested in reading his own words, which led me to Journals. Journals features images of pages from twenty or so journals Kurt wrote during his life that were locked in a safe for years. Nevermind was a great album, but the band’s recording of their MTV Unplugged session is also excellent. I like this recording because it’s the closest I’ll ever get to seeing Nirvana in concert. From the videos I’ve seen on YouTube, they put on a good show. Kurt wrote about his plans for Nirvana. Journals includes a draft of a letter firing a drummer for not being dedicated enough to the band. According to the book’s notes, Kurt often used his journals to draft letters before he sent them. Lyrics to “Lithium”, “Smells Like Teen Spirit”, “In Bloom”, “Come As You Are”, all tracks that appear on Nirvana’s 1991 breakthrough album Nevermind, are scrawled in the journal as well. Kurt also drafted lyrics for other songs, such as “Heart-Shaped Box” from In Utero, in the journals. It’s interesting to see how all those songs developed. Kurt also made several lists detailing his favorite albums and songs. A Scottish alternative band that Kurt admired called The Vaselines appeared on several of these lists. Nirvana later covered their track “Molly’s Lips.” Journals also includes a draft of a letter to Eugene Kelly of the Vaselines–Nirvana was scheduled to perform with Kelly’s new band, Captain America, in England. Other topics in Journals are Kurt’s feelings about his growing fame and the record industry as a whole. He discussed using drugs and a chronic, undiagnosed stomach condition he dealt with much of his life. A rather unique love note addressed to his wife, Courtney Love, is also in the book. My favorite entry is one Kurt wrote after his daughter Frances Bean Cobain (who he named after guitarist Frances McKee of The Vaselines) was born in 1992 about the awesome responsibility of parenting and how much he loves her. I enjoyed it because it shows that even genre-defining, millionaire rock stars are nervous about driving with their infant in the car. I highly recommend Journals for fans or anyone interested in learning more about Kurt Cobain. This book is excellently curated. The minimal design keeps the reader’s focus on the photographs taken of actual pages from Kurt’s journals and his words. Reading his private thoughts felt uncomfortable at times, but I found him fascinating. You might say that life and death are the two questions I am asked for the most when it comes to finding books to help young children understand their changing world. In this book list, we’ll cover the happier event , the arrival of a new sibling. These days, there is less surprise when a new child is expected. Unless mom and dad choose to be surprised, the whole family knows whether to expect a boy or a girl, frequently a name has already been selected, and the older child has been told repeatedly that the baby in mommy’s tummy will need special love and care. Many families represent it to the older child as a promotion, of sorts: younger child or only child to the child who sets the pace for the new sibling. 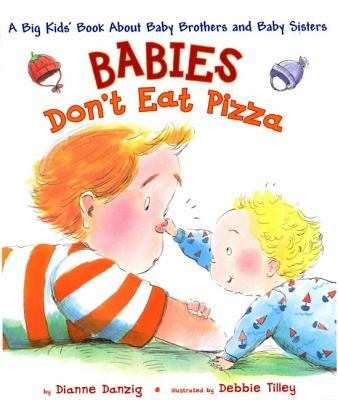 Babies Don’t Eat Pizza, by Deanne Danzig. This is a fairly straightforward “care and feeding” of the newcomer that explains how the new baby will fit into the family structure. It also includes notes for parents on how to prepare siblings for the new arrival. 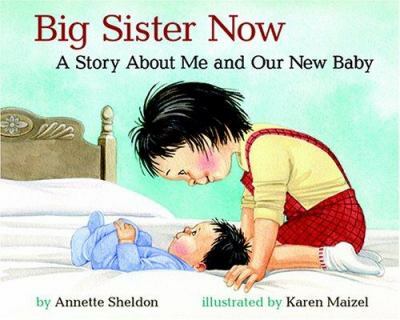 Big Sister Now, by Annette Sheldon. 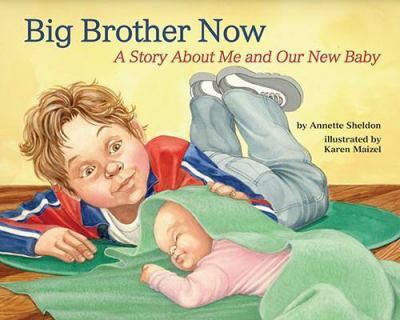 Big Brother Now, by Annette Sheldon. This is actually two separate books which help children to learn about sharing their parents with a new baby. 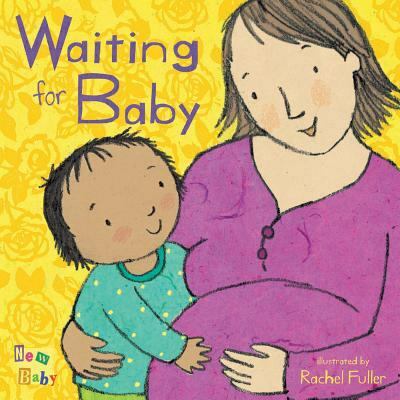 Waiting for Baby, by Rachel Fuller. This is a toddler board book (heavier pages designed for nibbling as well as reading) that explain to the youngest reader that they will have a new sibling and how to prepare for his/her arrival. Because of the age of the sister or brother, it’s likely that this book will be more of a comfort to mommy than to the child. 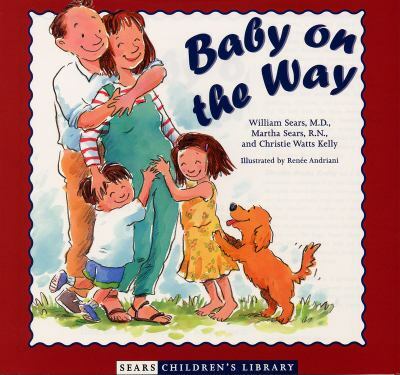 Baby on the Way, by William Sears, MD. This is an interesting perspective for the older child, since Dr. Sears includes things like how mommy is feeling while waiting for the baby, how the family gets ready to welcome the child, and how things will change when the new baby arrives. A bit more detailed than the fiction books on the same subject. 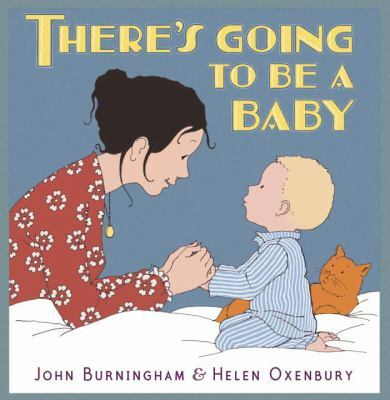 There’s Going to be a Baby, by John Birmingham. A young boy imagines what life will be like when his new sibling arrives. 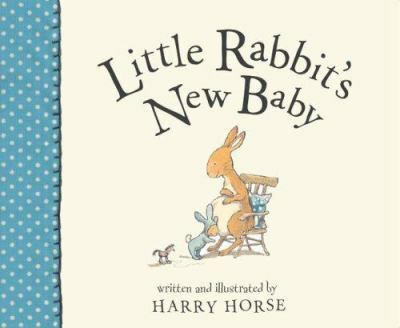 Little Rabbit’s New Baby, by Harry Horse. Little Rabbit has looked forward to being a new brother, but when his mother brings home triplets, it’s a bit harder than he expected. 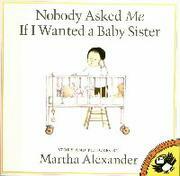 Nobody Asked Me If I Wanted a Baby Sister, by Martha Alexander. Resenting the attention that his new sister is getting, Oliver tries to give her away to someone else in the neighborhood. 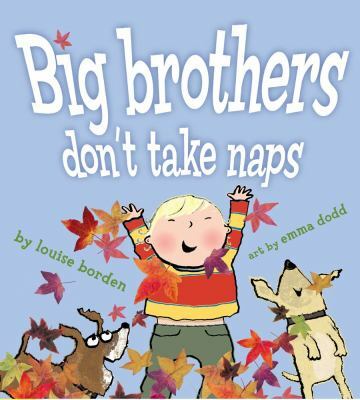 Big Brothers Don’t Take Naps, by Louise Borden. Little brother Nick lists all the things that his big brother does with him and takes pride in the fact that he will now be able to do the same things for his new sibling. 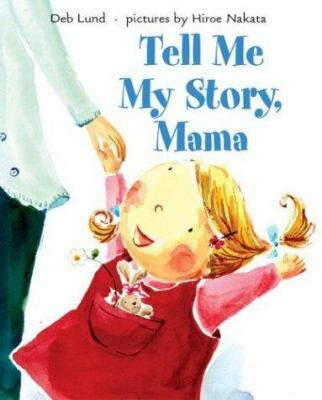 Tell Me a Story, Mama, by Deb Lund. A mother tells her daughter about waiting for her to be born as they both look forward to the arrival of a new child in the family. 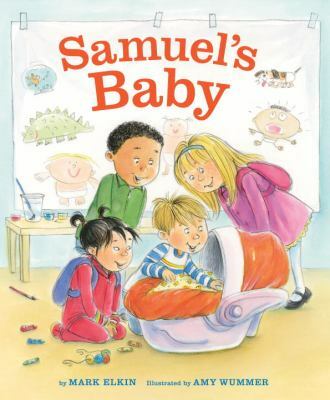 Samuel’s Baby, by Mark Elkins. Samuel announces during kindergarten show and tell that he is expecting a new baby at his house, leaving his classmates to guess at what the new baby will be (everything from twins to kittens). Samuel is able to demonstrate how he will help his mom care for the new baby. 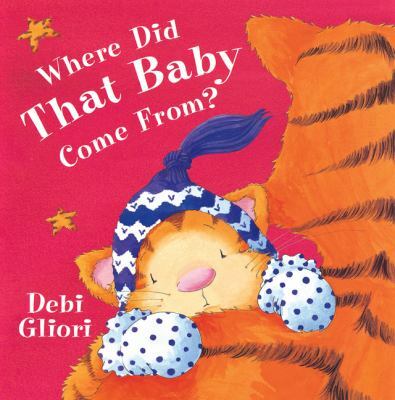 Where Did That Baby Come From, by Debi Giori. A small animal wonders where his strange, squeaky, leaky sibling came from and whether it’s possible to set it free, again. Lola Reads to Leo, by Anna McQuinn. 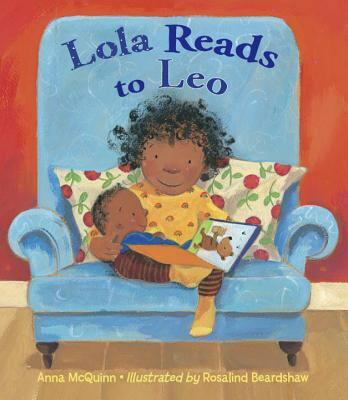 Lola reads stories with her new baby brother, Leo, just as her parents read to her. She is pleased to learn that, even with the new baby in the house, her parents still have time to share bedtime stories with their older daughter. The possibilities in this category are nearly endless, but this sampling should give you at least enough books to get your older child ready for the awesome responsibility of becoming a bog brother or sister.